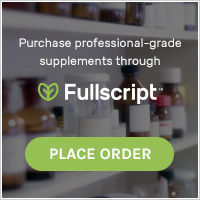 If you have ever soaked nuts in an attempt to destroy their enzyme inhibitors and increase their digestibility, then I am sure you have noticed that they swell to twice their original size. It was this observation that inspired my latest nut recipe. I thought, if nuts are able to absorb such vast quantities of water, then surely they are able to absorb any liquid…and boy did they! 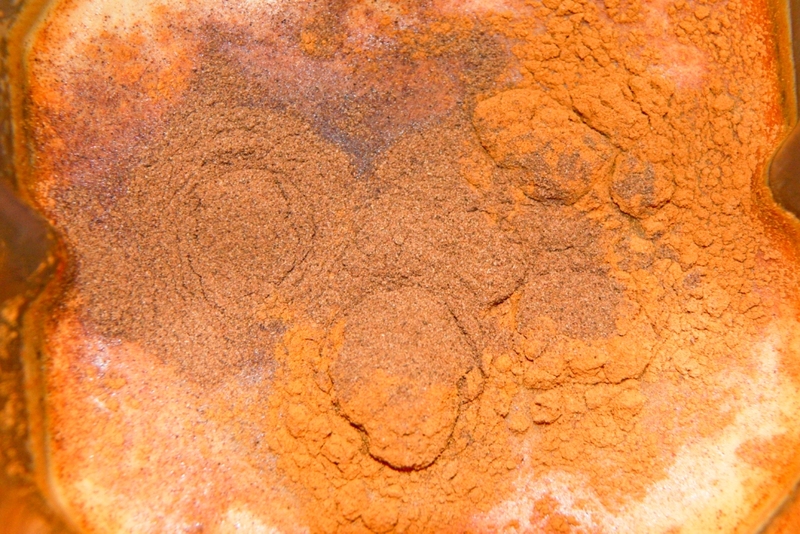 The result is subtle, but oh so good. 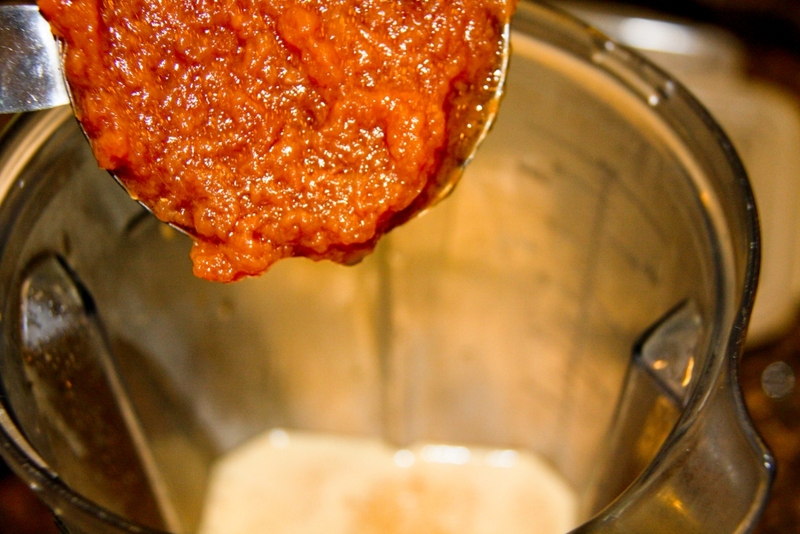 Blend the fresh squeezed apple juice, applesauce, honey, cinnamon, and allspice in a high speed blender. 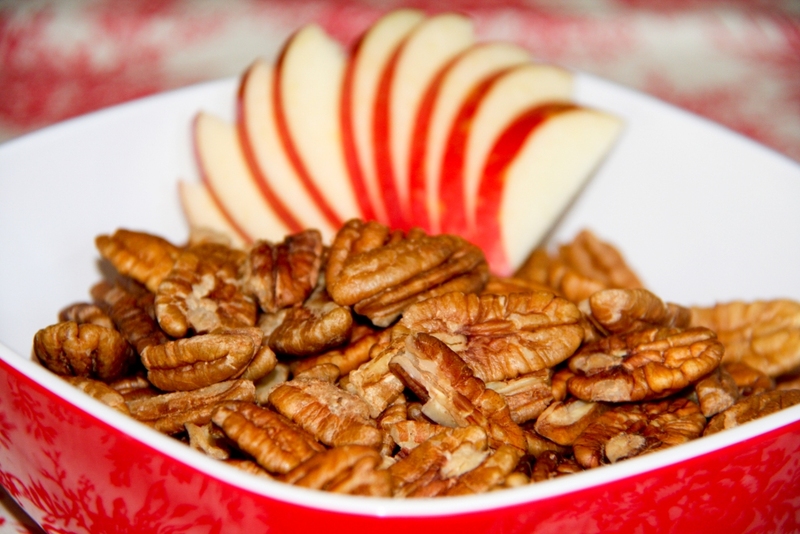 Place the pecans in a large Glasslock™ container and cover with the apple juice mixture. 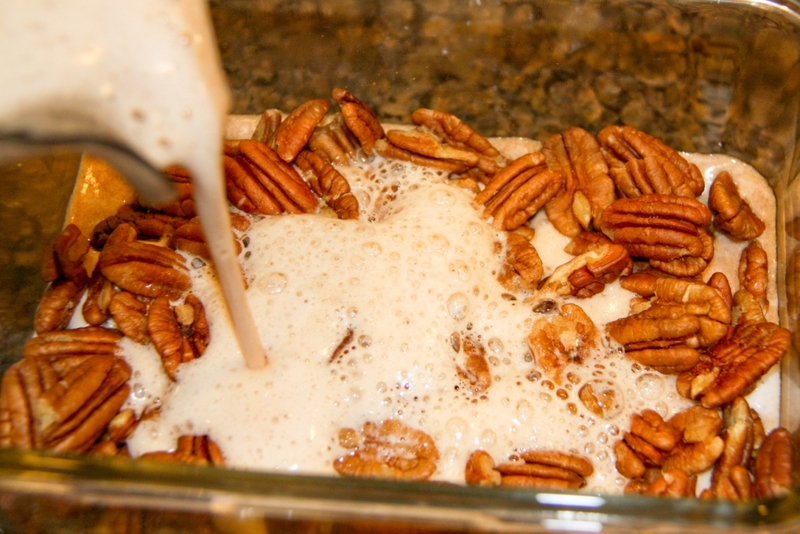 Allow the pecans to soak overnight in the refrigerator. 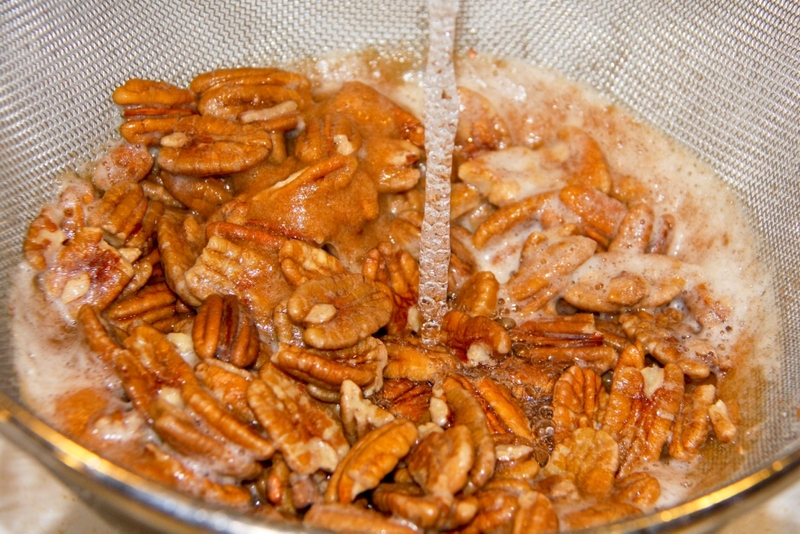 In the morning pour the pecans into a colander and rinse them. 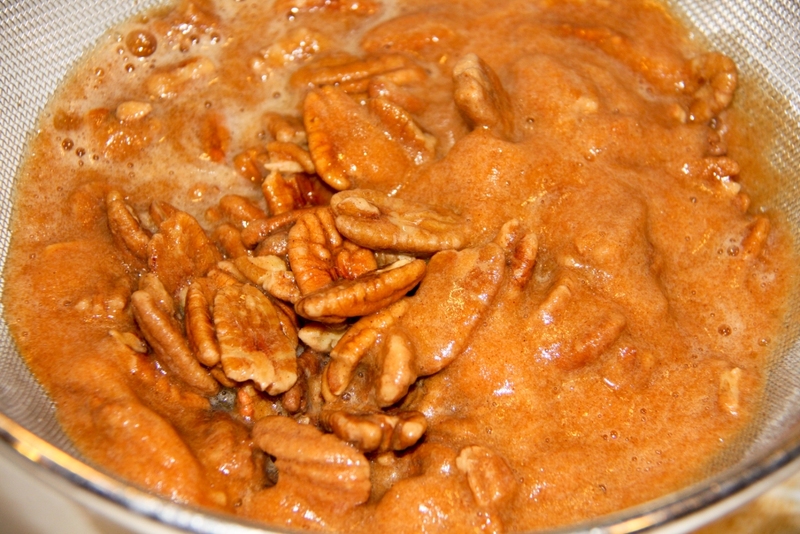 Place the soaked pecans on a mesh dehydrator tray (not a Teflex sheet) and dehydrate at 115 ° for 6-8 hours. 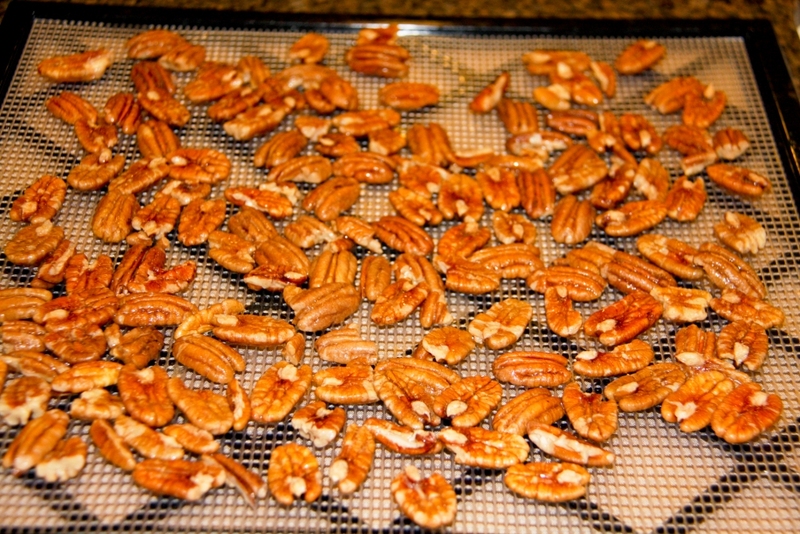 To ease clean-up, I place a Teflex sheet on the tray below the pecans so it can catch any drips. These pecans are so good on their own. 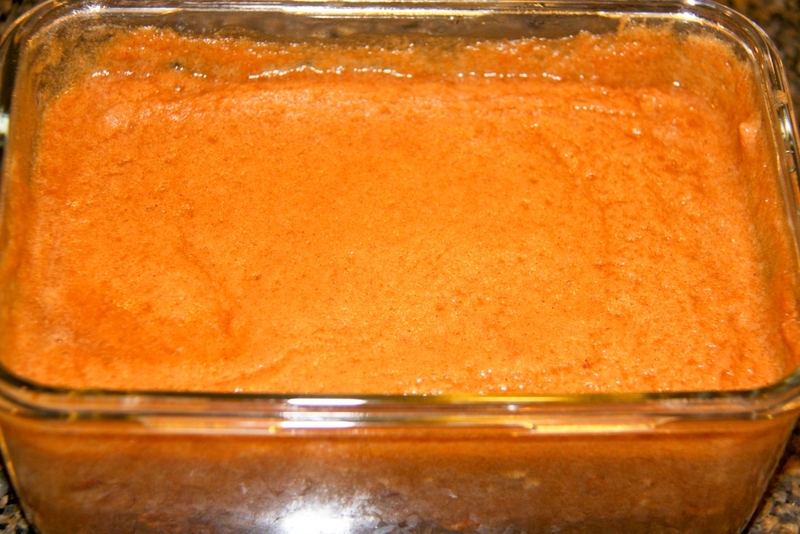 I keep mine in the freezer and eat them straight out of the freezer (they are extra crunchy that way). 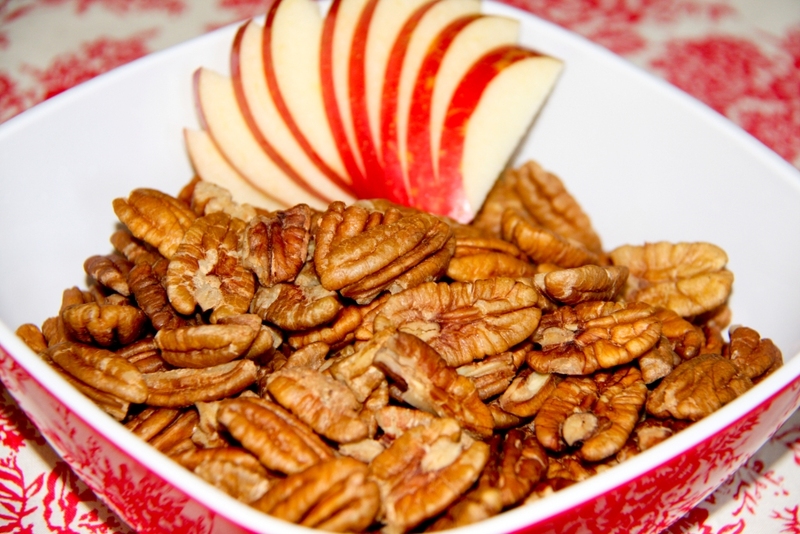 The Apple Pie Infused Pecans would also be a great trail mix ingredient! OH MY GOSH these sound YUMMY! Thanks!